One of my favorite childhood memories took place at Veteran's Park in Culver City. My brother Jimmy was 7 years old and I was about 10 years old and we decided to launch rockets with our cousin David at the park. It was a whole week of planning and discussion of how high we think it will fly and how far it will go. Yes, we meant business because we had a ride to the park and we were going to take full advantage of the opportunity. In our biker shorts, hammer pants, and 80s shirt, we saw the rocket took off and chased after it. My uncle documented this event with his Polaroid camera and gave us each a photo next to our rocket. It's still in my family album at my parents' home. Growing up, I remembered looking at the photo often because it reminded me of that moment. 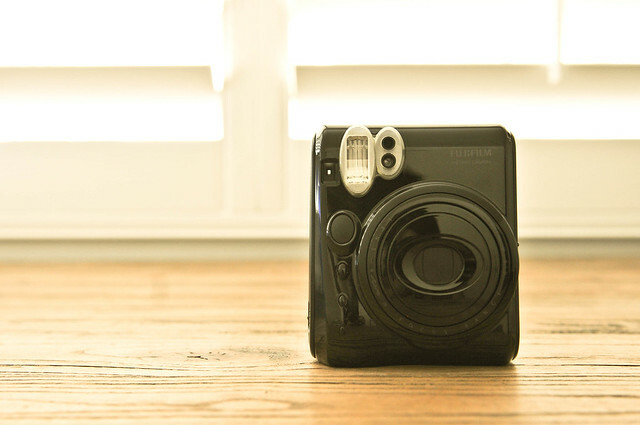 It deepened my love for Polaroid cameras and the nostalgic imagery it created. Hence, I was so darn excited when my new accessory came in. Can't wait to have you by my side!